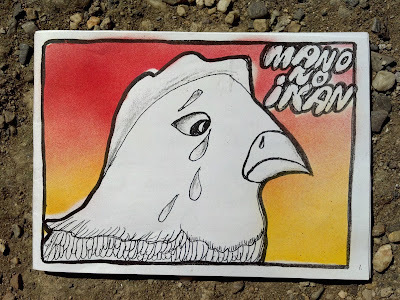 We spent all week in comic-making workshops @ Gembel Art Collective here in Dili, Timor-Leste... The young folks in my class worked really hard to complete this story about a sad rooster & a happy fish! 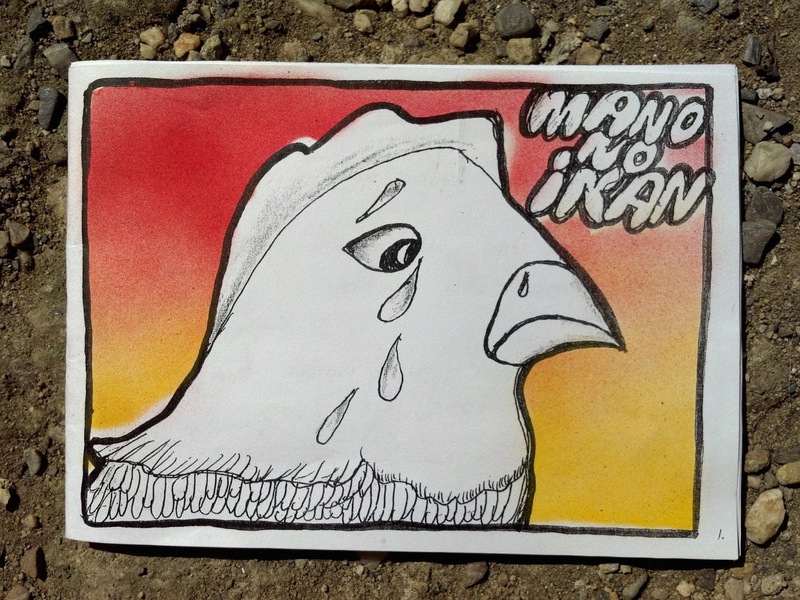 Probably East Timor's first ever all-original comic zine! Photocopy + spray-paint stenciled covers. Have a read-thru here... It's in Tetum w/ English subtitles. Great job, y'all!